Amino acidpowder is 100% soluble in water and can be used to prepare a formulation of required concentration. It is used as plant growth boosters in Agriculture. 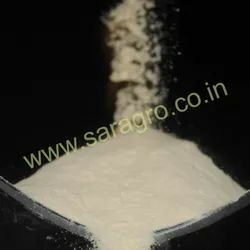 Amino acid compound amino acid powder is obtained from the hydrolysed protein containing 18 types of free amino acid content. 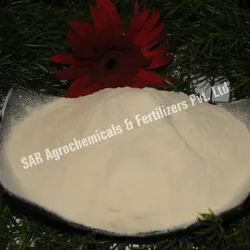 organic nitrogen and inorganic nitrogen which has dual function of supplying nitrogen and carbon. It has significant effect on plant for promoting the growth and improving the absorption of nutrients. This powder is 100% soluble in water and can be used to prepare a formulation of required concentration. It is used as plant growth boosters in Agriculture. Increases physiological & biochemical function of the plant directly participates in photosynthesis & is favor of stomata opening activity. Improves white root development vegetative growth, flower induction, fruits set, seed & fruit induction. Development rate of maturity, yield, luster & to resistance & disease attack. 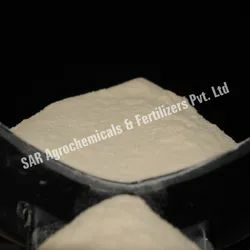 Soil application or fertigation at 1Kg./2Kg.per acres in 2-3 doses helps in improving the microns of the soil there by facilitating the availability of applied nutrients. Completely Water Miscible & the Protein present are bio-available. Acts as a most effective soil conditioner & fertilizer magnifier. Biodegradable & is a key part of the organic farming. Protein Hydrolyzed derived from naturally available vegetable proteins. It’s 100% natural organic compound, non-toxic.